News is information about current events. This may be provided through many different media: word of mouth, printing, postal systems, broadcasting, electronic communication, or through the testimony of observers and witnesses to events. A social networking service is an online platform which people use to build social networks or social relations with other people who share similar personal or career interests, activities, backgrounds or real-life connections. In computer and machine-based telecommunications terminology, a character is a unit of information that roughly corresponds to a grapheme, grapheme-like unit, or symbol, such as in an alphabet or syllabary in the written form of a natural language. Twitter was created in March 2006 by Jack Dorsey, Noah Glass, Biz Stone, and Evan Williams and launched in July of that year. The service rapidly gained worldwide popularity. In 2012, more than 100 million users posted 340 million tweets a day,  and the service handled an average of 1.6 billion search queries per day. In 2013, it was one of the ten most-visited websites and has been described as "the SMS of the Internet". As of 2018, Twitter had more than 321 million monthly active users. Since 2015 Twitter has been a hotbed of debates and news covering politics of the United States. During the 2016 U.S. presidential election, Twitter was the largest source of breaking news on the day, with 40 million election-related tweets sent by 10:00 p.m. (Eastern Time) that day. It was also a source of information on Brett Kavanaugh's Supreme Court nomination and the 2018 United States midterm elections. 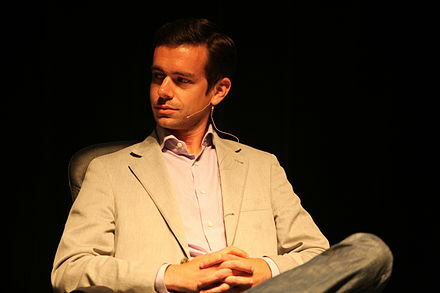 Jack Patrick Dorsey is an American computer programmer and Internet entrepreneur who is co-founder and CEO of Twitter, and founder and CEO of Square, a mobile payments company. Noah Glass is an American software developer, best known for his early work launching Twitter and Odeo, a podcasting company that closed in 2007. Christopher Isaac "Biz" Stone is an American entrepreneur who co-founded Twitter, among other Internet-based services. Biz was the creative director at Xanga from 1999-2001. Stone co-founded Jelly, with Ben Finkel. Jelly was launched in 2014 and is described as a new kind of search engine with the core assumption that for every question there is a person with the answer. Stone was Jelly’s CEO until its acquisition by Pinterest in 2017. On May 16, 2017, Biz Stone announced he is returning to Twitter Inc. in an unannounced role. A podcast or generically netcast, is an episodic series of digital audio or video files which a user can download in order to listen to. It is often available for subscription, so that new episodes are automatically downloaded via web syndication to the user's own local computer, mobile application, or portable media player. Odeo was a directory and search destination website for RSS-syndicated audio and video. It employed tools that enabled users to create, record, and share podcasts with a simple Adobe Flash-based interface. Evan Clark Williams is an American computer programmer and Internet entrepreneur who has founded several Internet companies. Williams was previously chairman and CEO of Twitter, one of the top ten websites on the Internet. He also founded Blogger and Medium, two of the largest and most notable blog distribution websites. San Antonio-based market-research firm Pear Analytics analyzed 2,000 tweets (originating from the United States and in English) over a two-week period in August 2009 from 11:00 am to 5:00 pm (CST) and separated them into six categories. Pointless babble made up 40%, with 38% being conversational. Pass-along value had 9%, self-promotion 6% with spam and news each making 4%. Users can group posts together by topic or type by use of hashtags – words or phrases prefixed with a "#" sign. Similarly, the "@" sign followed by a username is used for mentioning or replying to other users. To repost a message from another Twitter user and share it with one's own followers, a user can click the retweet button within the Tweet. Users' photos can generate royalty-free revenue for Twitter, and an agreement with World Entertainment News Network (WENN) was announced in May 2011. In June 2011, Twitter announced that it would offer small businesses a self-service advertising system. Twitter generated US$139.5 million in advertising sales during 2011. In a 2011 study, researchers found that young peoples use of Twitter helped to improve relationships with teachers, encourage interactive learning, and ultimately lead to high grades. In the same study it was found that out of a group of 158 educators, 92% agreed that the reason they use Twitter is because of how user friendly it is,  another 86% agreed that they started and continue using Twitter because of how easy it is to learn, and finally,  93% said they use Twitter because it is free. People found that sifting through large amounts of data is challenging, however, with the simple nature of Twitter large amount of information became easily accessible. Much of this simplicity comes from the use of the hashtag, and the intuitive nature of how Twitter as a microblogging site operates. These features help to promote education outside the classroom on a global setting where students and educators are easily able create, connect, and share knowledge. This ultimately promotes growth and learning among students and educators, not just in the class room, but virtually and around the world. According to Guinness World Records , the fastest pace to a million followers was set by actor Robert Downey Jr. in 23 hours and 22 minutes in April 2014. This record was later broken by Caitlyn Jenner, who joined the site on June 1, 2015 and amassed a million followers in just 4 hours and 3 minutes. A hashtag is a type of metadata tag used on social networks such as Twitter and other microblogging services, allowing users to apply dynamic, user-generated tagging which makes it possible for others to easily find messages with a specific theme or content. Users create and use hashtags by placing the number sign or pound sign # usually in front of a word or unspaced phrase in a message. The hashtag may contain letters, digits, and underscores. Searching for that hashtag will yield each message that has been tagged with it. A hashtag archive is consequently collected into a single stream under the same hashtag. For example, on the photo-sharing service Instagram, the hashtag #bluesky allows users to find all the posts that have been tagged using that hashtag. TweetDeck is a social media dashboard application for management of Twitter accounts. Originally an independent app, TweetDeck was subsequently acquired by Twitter Inc. and integrated into Twitter's interface. A recent extension to the cultural relationship with death is the increasing number of people who die having created a large amount of digital content, such as social media profiles, that will remain after death. This may result in concern and confusion, because of automated features of dormant accounts, uncertainty of the deceased's preferences that profiles be deleted or left as a memorial, and whether information that may violate the deceased's privacy should be made accessible to family. Since the launch of Twitter on July 15, 2006, there have been many notable uses for the service, in a variety of environments. Sina Weibo (新浪微博) is a Chinese microblogging (weibo) website and one of the biggest social media platforms in China. Launched by Sina Corporation on 14 August 2009, it is one of the most popular social media platforms in China. As of Q3 2018, Sina Weibo has over 445 million monthly active users, with surging stocks, advertising sales, revenue and total earnings in the quarter. At the start of 2018, it surpassed US$30 billion market valuation mark for the first time. Censorship of Twitter occurs in accordance with the laws of the countries in which people use the service. On processing a successful complaint from "government officials, companies or another outside party" about an illegal "tweet", the social networking site will notify users from that country that they may not see it. In other cases the authorities may take unilateral action to block the site. Google+, pronounced and sometimes written as Google Plus, sometimes written as G+, or G-Plus, was an Internet-based social network owned and operated by Google Inc.. The network was launched on June 28, 2011 which replaced Google Buzz in the attempt to challenge other social networks such as Facebook, Instagram, LinkedIn, Myspace, Pinterest, Tumblr, Twitter and Vimeo and it was designed to link Google's products like Blogger and YouTube. However, these competitive plans by Google via Google Wave (2009–2010), Google Buzz (2010–2011) and Google+ (2011–2019) were never successful and were completely shut down as a result. Heello was an online social networking service and microblogging service launched in August 2011, and owned and operated by Heello Inc. Heello enabled its users to send and read text-based posts and to share pictures and videos. Heello was founded by Noah Everett, exactly one day after Twitter rolled out its official photo-sharing app. Heello is financed by the money generated by TwitPic through online advertising. Within the first day, there were about average 4 Pings a second. On 12 August 2011, Noah Everett reported that Heello had reached 1 million Pings in just 2 days. Pinterest, Inc. is a social media web and mobile application company. It operates a software system designed to enable discovery of information on the World Wide Web using images and, on a smaller scale, GIFs and videos. The site was founded by Ben Silbermann, Paul Sciarra, and Evan Sharp. Pinterest has reached 250 million monthly active users as of October 2018. 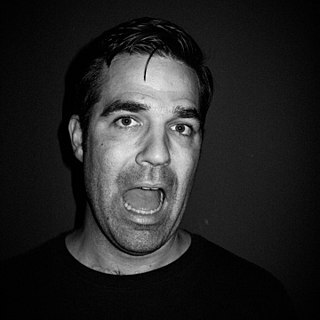 Rob Delaney is an American comedian, actor, and writer. He is widely known as the co-star and co-writer of the TV show Catastrophe, as well as a minor role in the 2018 blockbuster action-comedy Deadpool 2. 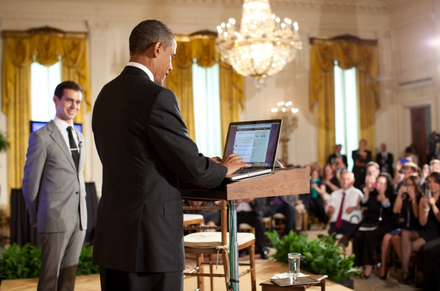 The topic of Barack Obama's usage of social media in his political campaigns, including podcasting, Twitter, Myspace, Facebook, and YouTube has been compared to the adoption of radio, television, MTV, and the Internet in slingshotting his presidential campaign to success and as thus has elicited much scholarly inquiry. In the 2008 presidential campaign, Obama had more "friends" on Facebook and Myspace and more "followers" on Twitter than his opponent John McCain. A Twitter bot is a type of bot software that controls a Twitter account via the Twitter API. The bot software may autonomously perform actions such as tweeting, re-tweeting, liking, following, unfollowing, or direct messaging other accounts. The automation of Twitter accounts is governed by a set of automation rules that outline proper and improper uses of automation. Proper usage includes broadcasting helpful information, automatically generating interesting or creative content, and automatically replying to users via direct message. Improper usage includes circumventing API rate limits, violating user privacy, or spamming. The use of Twitter by celebrities and politicians has become an important factor both for Twitter itself and for the celebrity users. As with many other social networking WWW sites, the postings and pictures by celebrity users attracts people to the site, which increases opportunity for advertising. 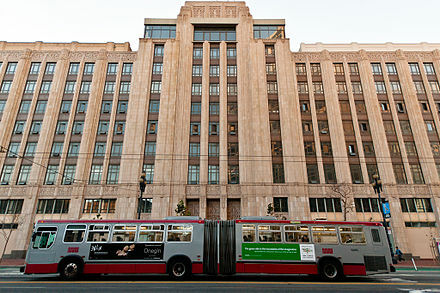 To this end, Twitter has provided two facilities to its high-profile users. Viralheat was a subscription-based software service for social media management that helps clients monitor and analyze consumer-created content. It was first released in beta in May 2009. Viralheat raised $75,000 in seed capital in December 2009 and $4.25 million of venture capital from the Mayfield Fund in 2011. Black Twitter is a cultural identity consisting of "Black" Twitter users from around the world on the Twitter social network focused on issues of interest to the black community, particularly in the United States. Feminista Jones described it in Salon as "a collective of active, primarily African-American Twitter users who have created a virtual community ... [and are] proving adept at bringing about a wide range of sociopolitical changes." A similar Black Twitter community grew in South Africa in the early 2010s. Although Black Twitter has a strong Black American user base, other people and groups are able to be a part of this social media circle through commonalities in shared experiences and reactions to such online. This is a timeline of microblogging service Twitter. 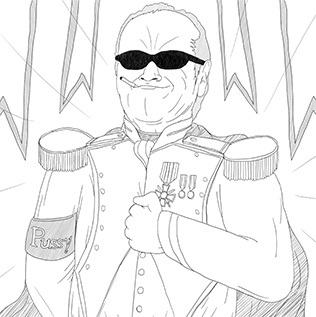 @dril is a pseudonymous Twitter user best known for his idiosyncratic style of absurdist humor and non sequiturs. The account, its author, and the character associated with the tweets are all commonly referred to as dril or wint, both rendered lowercase but often capitalized by others. Since his first tweet in 2008, dril has become a popular and influential Twitter user with more than one million followers. Account verification is the process of verifying that a new or existing account is owned and operated by a specified real individual or organization. A number of websites, for example social media websites, offer account verification services. Verified accounts are often visually distinguished by check mark icons or badges next to the names of individuals or organizations. ↑ "Twitter.com Traffic, Demographics and Competitors". www.alexa.com. Retrieved February 4, 2019. 1 2 Dorsey, Jack (March 21, 2006). "just setting up my twttr". Twitter. Retrieved February 4, 2011. ↑ "US SEC: Form 10-K Twitter, Inc". U.S. Securities and Exchange Commission . Retrieved June 27, 2018. ↑ "Twitter.com Traffic, Demographics and Competitors". www.alexa.com. Retrieved December 2, 2018. ↑ April, Reuters (April 28, 2017). "Twitter CEO Jack Dorsey Recently Bought $9.5 million in Company Stock". Fortune. Retrieved February 14, 2018. ↑ "MoPub Terms of Service". 1 2 "Twitter Search Is Now 3x Faster". April 6, 2011. ↑ Humble, Charles (July 4, 2011). "Twitter Shifting More Code to JVM, Citing Performance and Encapsulation As Primary Drivers". InfoQ. Retrieved January 15, 2013. 1 2 "Twitter overcounted active users since 2014, shares surge on profit hopes". USA Today. 1 2 Arrington, Michael (July 15, 2006). "Odeo Releases Twttr". TechCrunch . AOL . Retrieved September 18, 2010. ↑ Shaban, Hamza. "Twitter's stock plunges 19% after it reports a decline in users". www.LATimes.com. Los Angeles Times. Retrieved July 27, 2018. ↑ "Twitter.com Traffic, Demographics and Competitors". www.alexa.com. ↑ "Tweeting Made Easier" Retrieved November 7, 2017. ↑ "Twitter via SMS FAQ" Retrieved April 4, 2019. ↑ "About Twitter" Retrieved April 24, 2014. ↑ Twitter (March 21, 2012). "Twitter turns six". Twitter. ↑ "Twitter Passed 500M Users In June 2012, 140M Of Them In US; Jakarta 'Biggest Tweeting' City". TechCrunch . July 30, 2012. ↑ Twitter Search Team (May 31, 2011). "The Engineering Behind Twitter's New Search Experience". Twitter Engineering Blog. Twitter. Archived from the original on March 25, 2014. Retrieved June 7, 2014. ↑ "Twitter turns six" Twitter.com, March 21, 2012. Retrieved December 18, 2012. ↑ "Top Sites". Alexa Internet . Retrieved May 13, 2013. 1 2 Isaac, Mike; Ember, Sydney (November 8, 2016). "For Election Day Influence, Twitter Ruled Social Media". The New York Times . Retrieved November 20, 2016. ↑ (registration required) Miller, Claire Cain (October 30, 2010). "Why Twitter's C.E.O. Demoted Himself". The New York Times . Retrieved October 31, 2010. ↑ "Co-founder of Twitter receives key to St. Louis with 140 character proclamation". ksdk.com. KSDK. September 19, 2009. Archived from the original on December 28, 2012. Retrieved September 29, 2009. 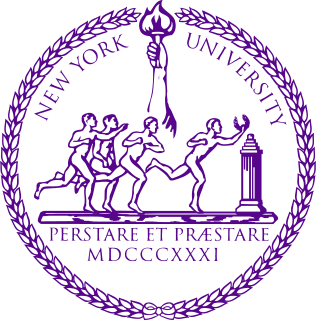 After high school in St. Louis and some time at the University of Missouri–Rolla, Jack headed east to New York University. ↑ Williams, Evan (April 13, 2011). "It's true..." Twitter. Retrieved April 26, 2011. ↑ "Buy a vowel? How Twttr became Twitter". CNNMoney. November 23, 2010. Retrieved June 9, 2015. ↑ Sagolla, Dom (January 30, 2009). "How Twitter Was Born". 140 Characters: A Style Guide for the Short Form. 140 Characters. Retrieved February 4, 2011. ↑ Sano, David (February 18, 2009). "Twitter Creator Jack Dorsey Illuminates the Site's Founding Document". Los Angeles Times . Retrieved June 18, 2009. 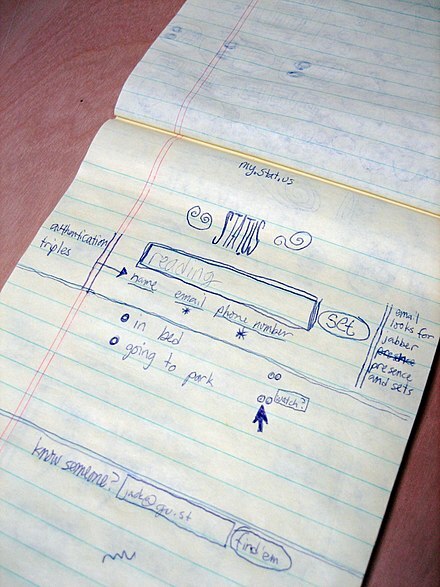 ↑ "How Twitter Was Founded". Business Insider (April 13, 2011). Retrieved on September 4, 2013. ↑ Malik, Om (October 25, 2006). "Odeo RIP, Hello Obvious Corp". GigaOM . Retrieved June 20, 2009. ↑ Madrigal, Alexis (April 14, 2011). "Twitter's Fifth Beatle Tells His Side of the Story". The Atlantic. Retrieved April 26, 2011. ↑ Lennon, Andrew. "A Conversation with Twitter Co-Founder Jack Dorsey". The Daily Anchor . Archived from the original on July 27, 2009. Retrieved February 12, 2009. 1 2 Issie Lapowsky (4 October 2013). "Ev Williams on Twitter's Early Years". Inc. Inc. Retrieved 5 October 2013. ↑ Douglas, Nick (March 12, 2007). "Twitter blows up at SXSW Conference". Gawker . Univision Communications . Retrieved May 5, 2017. ↑ Meyers, Courtney Boyd (July 15, 2011). "5 years ago today Twitter launched to the public". The Next Web. Retrieved May 5, 2017. ↑ Levy, Steven (April 30, 2007). "Twitter: Is Brevity The Next Big Thing?". Newsweek . Retrieved February 4, 2011. ↑ Terdiman, Daniel (March 10, 2007). "To Twitter or Dodgeball at SXSW?". CNET . CBS Interactive . Retrieved February 4, 2011. ↑ Stone, Biz (February 4, 2011). "We Won!". Twitter Blog. Twitter. Retrieved May 7, 2008. ↑ Press release (January 22, 2010). "Media Advisory M10-012 – NASA Extends the World Wide Web Out into Space". NASA. Retrieved February 5, 2011. ↑ Arrington, Michael (August 23, 2010). "Twitter Hires Adam Bain Away from News Corp. as President of Revenue". TechCrunch . AOL . Retrieved February 5, 2011. ↑ Beaumont, Claudine (February 23, 2010). "Twitter Users Send 50 Million Tweets Per Day – Almost 600 Tweets Are Sent Every Second Through the Microblogging Site, According to Its Own Metrics". The Daily Telegraph . London. Retrieved February 7, 2011. ↑ Staff writer (March 4, 2010). "Twitter Registers 1,500 Per Cent Growth in Users". New Statesman . Retrieved February 7, 2011. ↑ Garrett, Sean (June 18, 2010). "Big Goals, Big Game, Big Records". Twitter Blog (blog of Twitter). Retrieved February 7, 2011. ↑ "Twitter Blog: #numbers". Blog.twitter.com. March 14, 2011. Retrieved January 20, 2012. 1 2 Kazeniac, Andy (February 9, 2009). "Social Networks: Facebook Takes Over Top Spot, Twitter Climbs". Compete.com . Retrieved February 17, 2009. ↑ Miller, Claire Cain (June 18, 2010). "Sports Fans Break Records on Twitter". Bits (blog of The New York Times ). Retrieved February 7, 2011. ↑ Van Grove, Jennifer (June 25, 2010). "Twitter Sets New Record: 3,283 Tweets Per Second". Mashable . Retrieved February 7, 2011. ↑ "Women's World Cup Final breaks Twitter record". ESPN . July 18, 2011. Retrieved July 31, 2011. ↑ Shiels, Maggie (June 26, 2009). "Web Slows After Jackson's Death". BBC News . Retrieved February 7, 2011. ↑ "New Tweets per second record, and how!". twitter.com. ↑ Kanalley, Craig (January 2, 2013). "Tweets-Per-Second Record Set By Japan, Korea On New Year's Day 2013". The Huffington Post . Retrieved January 3, 2013. ↑ Miller, Claire Cain (April 11, 2010). "Twitter Acquires Atebits, Maker of Tweetie". Bits (blog of The New York Times ). Retrieved February 7, 2011. ↑ Praetorius, Dean (May 4, 2011). "Twitter Users Report Twitter.com Has A New Homepage (SCREENSHOTS)". The Huffington Post. Retrieved May 22, 2011. ↑ Dunn, John E (April 6, 2011). "Twitter Delays Homepage Revamp After Service Glitch". PCWorld. Retrieved May 22, 2011. ↑ Crum, Chris (April 20, 2011). "New Twitter Homepage Launched". Archived from the original on April 24, 2011. Retrieved April 25, 2011. ↑ "Twitter: Yours to discover". Fly.twitter.com. Retrieved January 20, 2012. ↑ Twitter / YouTube (April 7, 2010). "Twitter 2.0: Everything You Need To Know About The New Changes". Fox News. Retrieved January 20, 2012. ↑ "Twitter partners with Yandex for real-time search". Reuters. February 21, 2012. ↑ "Twitter Says It Has 140 Million Users". Mashable. March 21, 2012. ↑ "Twitter heads to Motown to be closer to automakers". Reuters. April 4, 2012. Retrieved April 5, 2012. ↑ "Twitter to create 12 jobs as it scales up Irish operations". Irish Independent. April 4, 2012. Retrieved April 5, 2012. ↑ Rodriguez, Salvador (June 6, 2012). "Twitter flips the bird, adopts new logo". Los Angeles Times . Tronc. Archived from the original on July 12, 2012. Retrieved May 5, 2017. ↑ Gilbertson, Scott (June 8, 2012). "Twitter's New Logo Inspires Parodies, CSS Greatness". Wired. Retrieved May 5, 2017. ↑ "Twitter Acquires Video Service; Are Third Party Video Developers In Danger Now Too?". MediaBistro. October 9, 2012. Archived from the original on October 11, 2012. Retrieved October 10, 2012. ↑ "Twitter Buys Vine, a Video Clip Company That Never Launched". All Things D. October 9, 2012. Retrieved October 10, 2012. ↑ Dredge, Stuart (January 23, 2013). "Vine iPhone app brings short, sharp video to Twitter". The Guardian . London. Retrieved January 26, 2013. ↑ Ghosh, Shona (September 29, 2018). "What really happened to the man behind a viral Twitter thread about Apple deleting his movies". Business Insider. Retrieved September 17, 2018. ↑ "Twitter's Vine Changes App Store Rating to +17, Adds Social Sharing Features". ABC News. February 7, 2013. ↑ "Twitter Now Has More Than 200 Million Monthly Active Users". Mashable. December 18, 2012. ↑ "Twitter's Boston Acquisitions: Crashlytics Tops $100M, Bluefin Labs Close Behind | Xconomy". Xconomy. February 5, 2013. Retrieved December 16, 2016. ↑ Ulanoff, Lance. "Twitter Launches Twitter #music App and Service". Mashable . Mashable. Retrieved April 28, 2013. ↑ "Twitter acquires real-time social data company Trendrr to help it better tap into TV and media". The Next web. August 28, 2013. Retrieved August 29, 2013. ↑ Isidore, Chris (September 10, 2013). "Twitter makes another acquisition". CNN Money. Retrieved September 10, 2013. ↑ Heidi Moore (September 12, 2013). "Twitter files for IPO in first stage of stock market launch". The Guardian. Retrieved September 13, 2013. ↑ Shih, Gerry (June 6, 2014). "Twitter acquires mobile advertising startup Namo Media". Reuters. Retrieved June 6, 2014. ↑ Calia, Michael (June 19, 2014). "Twitter Boosts Video Push With SnappyTV Buy". The Wall Street Journal. Retrieved June 19, 2014. ↑ Tom Cheredar, Venture Beat. "Twitter buys SnappyTV to beef up its arsenal of TV-focused ad tools". June 19, 2014. Retrieved June 19, 2014. 1 2 Sawers, Paul (June 19, 2014). "Twitter's evolution as a broadcasting platform continues as it acquires live-TV clipping service SnappyTV". The Next Web. Retrieved August 28, 2014. ↑ "With CardSpring Deal, Twitter's E-Commerce Strategy Emerges in Time for Holidays". July 20, 2014. Retrieved July 21, 2014. ↑ Austin, Scott (July 31, 2014). "Twitter Acquires Security-Password Startup Mitro". The Wall Street Journal. Retrieved August 1, 2014. ↑ Lopes, Marina. "IBM, Twitter to partner on business data analytics". Reuters. October 29, 2014. Retrieved October 29, 2014. ↑ Ha, Anthony. "Twitter Acquires Niche, A Startup That Helps Advertisers Work With Social Media Celebrities". TechCrunch. Retrieved April 10, 2016. ↑ "Twitter buys Niche, an ad network for Vine stars, for about $50 million in cash and stock". Business Insider. Retrieved April 10, 2016. ↑ Constine, Josh (March 13, 2015). "Twitter Confirms Periscope Acquisition, And Here's How The Livestreaming App Works" . Retrieved April 10, 2015. 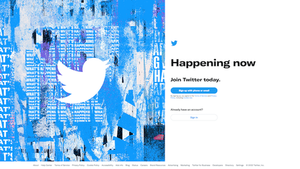 ↑ "Twitter.com gets a refresh". ↑ Constine, Josh (April 29, 2015). "Twitter Improves Ads By Acquiring TellApart, Selling Them Through Google's DoubleClick" . Retrieved April 29, 2015. ↑ Rosoff, Matt (April 29, 2015). "Twitter's price for TellApart: $532 million" . Retrieved April 30, 2015. ↑ Ingram, Matthew (October 25, 2015). "What if the Twitter growth everyone is hoping for never comes?". Fortune. Retrieved September 23, 2016. ↑ Beaver, Laurie; Boland, Margaret (October 28, 2015). "Twitter user growth continues to stall". Business Insider. Retrieved September 23, 2016. ↑ Beck, Martin (October 27, 2015). "Revenue Is Up, But Twitter Is Still Struggling In Slow Growth Mode". Marketing Land. Retrieved September 23, 2016. ↑ Truong, Alice (February 10, 2016). "Twitter now has a problem that's way worse than slow user growth". Quartz. Retrieved September 23, 2016. ↑ Murgia, Madhumita (June 20, 2016). "Twitter pays $150m for London AI startup Magic Pony". The Telegraph. Telegraph Media Group . Retrieved April 23, 2017. ↑ Lunden, Ingrid (June 20, 2016). "Twitter pays up to $150M for Magic Pony Technology, which uses neural networks to improve images". TechCrunch . AOL . Retrieved April 23, 2017. ↑ "Twitter plans stock market listing". BBC News. September 12, 2013. Retrieved September 13, 2013. ↑ "Twitter's filing for IPO". The New York Times. November 7, 2013. Retrieved September 23, 2016. ↑ "Twitter wants to raise $1bn in its stock market debut". BBC News. October 4, 2013. Retrieved October 12, 2013. ↑ "S-1 1 d564001ds1.htm FORM S-1". United States Securities Exchange Commission. United States Securities Exchange Commission. October 3, 2013. Retrieved October 5, 2013. ↑ "Amendment 1 to Form S-1 Registration Statement, Twitter, Inc". EDGAR. October 15, 2013. Retrieved November 8, 2013. ↑ "Twitter Announces It Will List On The NYSE Under TWTR, Twitter, Inc". TechCrunch. October 15, 2013. Retrieved November 8, 2013. ↑ "Interesting Numbers From Twitter's IPO". ABC News. November 8, 2013. Retrieved November 8, 2013. ↑ "Twitter prices IPO at $26 per share". Yahoo! Finance. November 6, 2013. Retrieved November 8, 2013. ↑ "Twitter shares jump 73% in market debut". BBC News. November 7, 2013. Retrieved November 8, 2013. ↑ Kurt Wagner (November 8, 2013). "Twitter IPO: Guess Who Just Got Rich". Mashable. Mashable. Retrieved November 8, 2013. ↑ Rushe, Dominic (February 5, 2014). "Twitter posts revenues of $242m but share price plummets as growth stalls". The Guardian . Retrieved February 7, 2014. ↑ Koh, Yoree (January 5, 2016). "Twitter to Expand Tweet's 140-Character Limit to 10,000". The Wall Street Journal . Retrieved March 24, 2016. 1 2 3 4 Faber, David; Balakrishnan, Anita (September 23, 2016). "Twitter may soon get formal bid, suitors said to include Salesforce and Google". CNBC . NBCUniversal News Group . Retrieved April 23, 2017. ↑ Vielma, Antonio José (September 26, 2016). "Microsoft seen as possible Twitter suitor: Source". CNBC . NBCUniversal News Group . Retrieved April 23, 2017. ↑ Rodionova, Zlata (September 27, 2016). "Twitter sale: Disney and Microsoft join Google in list of potential bidders". The Independent . Retrieved April 23, 2017. ↑ Nusca, Andrew (September 27, 2016). "Will Microsoft Buy Twitter?". Fortune . Time Inc. Retrieved April 23, 2017. 1 2 Lunden, Ingrid; Roof, Katie; Lynley, Matthew; Miller, Ron (September 23, 2016). "Salesforce, Google, Microsoft, Verizon are all eyeing up a Twitter bid". TechCrunch . AOL . Retrieved April 23, 2017. ↑ Sherman, Alex; Frier, Sarah (September 26, 2016). "Disney Is Working With an Adviser on Potential Twitter Bid". Bloomberg Markets. Bloomberg L.P. Retrieved April 23, 2017. ↑ Roof, Katie; Panzarino, Matthew (September 26, 2016). "Yep, Disney is in talks with bankers about possible Twitter acquisition". TechCrunch . AOL . Retrieved April 23, 2017. ↑ "Twitter shares soar almost 20% on takeover talk". BBC News. September 23, 2016. Retrieved April 23, 2017. ↑ Sherman, Alex; Palmeri, Christopher; Frier, Sarah (October 18, 2016). "Disney Dropped Twitter Pursuit Partly Over Image". Bloomberg Technology. Bloomberg L.P. Retrieved April 23, 2017. ↑ McCormick, Rich (October 19, 2016). "Twitter's reputation for abuse is turning off potential suitors". The Verge . Vox Media . Retrieved April 23, 2017. ↑ Price, Rob (October 18, 2016). "Twitter's abuse problem is reportedly part of the reason Disney chose not to buy it". Business Insider . Axel Springer SE . Retrieved April 23, 2017. ↑ Howard, Anne (June 19, 2017). "Twitter Gets a New Look. Does it get it Right?". RPRN Newsmagazine. RPRN News. Retrieved June 19, 2017. ↑ Pierce, David (June 15, 2017). "Twitter Redesigned Itself to Make the Tweet Supreme Again". Wired. Retrieved June 19, 2017. ↑ Miller, Claire Cain; Goel, Vindu (October 16, 2008). "Twitter Sidelines One Founder and Promotes Another". Bits (blog of The New York Times ). Retrieved February 5, 2011. ↑ (registration required) Miller, Claire Cain (October 20, 2008). "Popularity or Income? Two Sites Fight It Out". The New York Times . Retrieved November 5, 2008. ↑ McCarthy, Caroline (October 16, 2008). "Twitter CEO Jack Dorsey Steps Down". CNET . CBS Interactive . Retrieved November 5, 2008. ↑ Staff writer (October 4, 2010). "#newtwitterceo". Blog of Twitter. Retrieved February 5, 2011. ↑ "Twitter CEO Evan Williams Stepping Down". Mashable. October 4, 2010. 1 2 Miller, Claire Cain (March 28, 2011). "Two Twitter Founders Trade Places". The New York Times. Retrieved March 28, 2011. ↑ Albanesius, Chloe (March 29, 2011). "Twitter's Evan Williams Confirms Departure". PC Magazine. Ziff Davis. Retrieved March 29, 2011. ↑ Newton, Casey (January 7, 2014). "Twitter Founder Biz Stone Launches Jelly, A Social Q&A Network for Mobile". The Verge. Retrieved September 12, 2014. ↑ "Twitter Shakes Things Up Again: Fred Wilson, Bijan Sabet Leaving Board – Peter Kafka – Social". AllThingsD. September 16, 2011. Retrieved November 14, 2011. ↑ Olanoff, Drew. "Twitter Poaches Former Google Exec Matt Derella As New Director Of Agency Business Development". October 23, 2012. Retrieved October 24, 2012. ↑ Reuters. "Twitter replaces CFO with former Goldman manager". July 1, 2014. Retrieved June 15, 2015. ↑ GOEL, VINDU (June 11, 2015). "Twitter's Embattled Chief Executive, Costolo, Will Resign". New York Times . Retrieved June 11, 2015. ↑ Koh, Yoree, "Twitter CFO's Ascent Creates New Power Center" (please edit this parenthetical note to "subscribers only" if link does not work for non-subscribers), Wall Street Journal, June 15, 2015. Retrieved June 15, 2015. ↑ Koh, Yoree (October 14, 2015). "Twitter Taps Former Google Officer as Executive Chairman". The Wall Street Journal . Retrieved October 17, 2015. ↑ Kosoff, Maya. "Twitter just named its new CMO". Business Insider. Business Insider. Retrieved January 29, 2016. ↑ FORTUNE. "Twitter COO Adam Bain to Leave the Company". Fortune. Retrieved December 21, 2016. ↑ Isaac, Mike (November 9, 2016). "Twitter's Chief Operating Officer to Step Down". The New York Times. ISSN 0362-4331 . Retrieved December 21, 2016. ↑ Lynley, Matthew. "Twitter's CTO Adam Messinger is leaving the company along with VP of product Josh McFarland". TechCrunch. Retrieved December 21, 2016. ↑ Isaac, Mike (December 20, 2016). "Twitter's Chief Technology Officer to Leave Company". The New York Times. ISSN 0362-4331 . Retrieved December 21, 2016. ↑ "Twitter co-founder Ev Williams to step down from the company's board". TechCrunch. Retrieved February 25, 2019. ↑ Rehak, Melanie (August 8, 2014). "Who Made That Twitter Bird?". The New York Times. Retrieved April 2, 2018. ↑ Freeman, Eric (August 2011). "Twitter's Logo Is Named After Larry Bird". Yahoo!Sports . Retrieved March 1, 2012. ↑ Griggs, Brandon (June 7, 2012). "Twitter's bird logo gets a makeover". CNN. Retrieved June 7, 2012. ↑ Halliday, Josh (June 7, 2012). "No flipping the bird! Twitter unveils strict usage guidelines for new logo". The Guardian. Retrieved October 11, 2014. ↑ "Tweet from @support (now @TwitterSupport)". Twitter. May 30, 2014. Retrieved July 12, 2018. ↑ "Using Twitter with Your Phone". Twitter Support. Archived from the original on March 15, 2010. Retrieved June 1, 2010. We currently support 2-way (sending and receiving) Twitter SMS via short codes and one-way (sending only) via long codes. 1 2 Stone, Biz (October 30, 2009). "There's a List for That". blog.twitter.com. Retrieved February 1, 2010. ↑ Brown, Amanda (March 2, 2011). "The tricky business of business tweeting". The Irish Times. Retrieved April 28, 2011. ↑ "Twitter officially kills off favorites and replaces them with likes". The Verge. Vox Media. Retrieved November 4, 2015. ↑ Stutzman, Fred (April 11, 2007). "The 12-Minute Definitive Guide to Twitter". AOL Developer Network. Archived from the original on July 4, 2008. Retrieved November 12, 2008. ↑ Johnson, Steven (June 5, 2009). "How Twitter Will Change the Way We Live". Time . Retrieved February 13, 2011. ↑ Murphy, David (April 13, 2014). "44 Percent of Twitter Accounts Have Never Tweeted". PC Magazine. ↑ @jack (March 21, 2006). "just setting up my twttr" (Tweet) – via Twitter. ↑ Glenday, Craig (2010). Guinness World Records 2011. ISBN 9781904994572. ↑ Ryan Kelly, ed. (August 12, 2009). 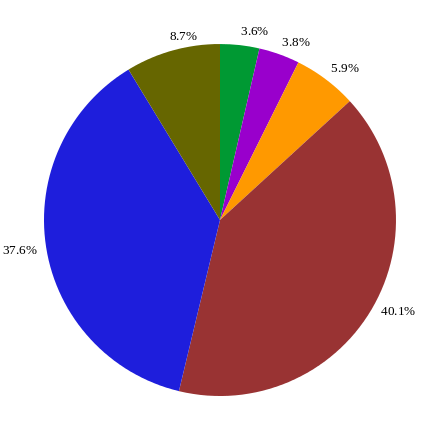 "Twitter Study – August 2009". Twitter Study Reveals Interesting Results About Usage (PDF). San Antonio, Texas: Pear Analytics. Archived from the original (PDF) on July 15, 2011. ↑ boyd, danah (August 16, 2009). "Twitter: "pointless babble" or peripheral awareness + social grooming?" . Retrieved September 19, 2009. ↑ Strachan, Donald (February 19, 2009). "Twitter: How To Set Up Your Account". The Daily Telegraph . London. Retrieved February 13, 2011. ↑ Staff writer (n.d.). "Twitter Lists!". Support forum at help.twitter.com. Archived from the original on December 22, 2009. Retrieved February 13, 2011. ↑ Andrews, Robert (March 27, 2009). "Twitter Brings Back UK SMS; Vodafone First, Others To Follow". The Guardian . London. Retrieved June 7, 2009. ↑ "Blog.Twitter.com". Blog.Twitter.com. November 16, 2009. Retrieved March 28, 2010. ↑ Kutty, Darpana (October 15, 2009). "Twitter, Bharti Airtel Tie-Up To Activate Twitter SMS Service in India". topnews.in. Retrieved February 23, 2011. ↑ "SMStweet :: Send Twitter Message sing SMS in India". India. Retrieved April 3, 2010. ↑ Balanarayan, N.T. (December 17, 2009). "Tweeting Via SMS Is In, the Way It Should Be". Daily News and Analysis . Retrieved February 23, 2011. ↑ "Update Twitter or Plurk by sending an SMS to a Singapore or Malaysia local number". Singapore. Retrieved April 3, 2010. 1 2 3 4 5 Staff writer (n.d.). "About Twitter's Link Service <http://t.co>". Twitter Help Center (module of Twitter). Archived from the original on February 25, 2011. Retrieved February 23, 2011. 1 2 Penner, Carolyn (June 7, 2011). "Link Sharing Made Simple". Twitter Blog (blog of Twitter). Retrieved June 9, 2011. ↑ "Coming soon to Twitter: More room to tweet". Associated Press. May 24, 2016. Retrieved May 24, 2016. ↑ Lever, Rob (May 24, 2016). "Twitter eases 140 character limit". Yahoo Tech . Retrieved May 25, 2016. 1 2 "Giving you more characters to express yourself" . Retrieved September 27, 2017. ↑ "Bloggers back media against youth league". Archived from the original on July 18, 2011. Retrieved April 3, 2010. ↑ "Top Twitter Trends of 2009" . Retrieved April 3, 2010. ↑ Vicky Woollaston. "Justin Bieber fans beat Twitter 'block' | Web User magazine". Webuser.co.uk. Archived from the original on November 22, 2012. Retrieved January 20, 2012. ↑ Weiner, David (June 21, 2009). "#Thatsafrican – When Twitter Went Racist?". Huffington Post. Retrieved April 3, 2010. ↑ "Thingsdarkiessay causes a Twitter storm". South Africa: Independent Online. November 5, 2009. Retrieved January 11, 2012. ↑ Gupta, Kanchan (August 13, 2013). "Role of Twitter in trending wars". NITI Central. Archived from the original on August 16, 2013. Retrieved August 14, 2013. ↑ "Inside Twitter Clients – An Analysis of 500 Million Tweets". Sysomos. November 2009. Archived from the original on September 1, 2010. Retrieved August 23, 2010. ↑ Stone, Biz (June 6, 2009). "Not Playing Ball". Twitter. ↑ Kanalley, Craig (March 12, 2013). "Why Twitter Verifies Users: The History Behind the Blue Checkmark". Huffington Post. Retrieved June 9, 2014. ↑ Cashmore, Pete (June 11, 2009). "Twitter Launches Verified Accounts" . Retrieved June 9, 2014. ↑ "Announcing an Application Process for Verified Accounts". Twitter. July 19, 2016. ↑ Burgess, Matt (July 20, 2016). "Twitter opens verification to all". Wired. Retrieved September 16, 2016. ↑ Tiku, Nitasha (November 10, 2017). "Twitter's Authentication Policy Is a Verified Mess". Wired. ↑ Dises, Jill (November 9, 2017). "Twitter suspends blue check mark verifications". CNN Tech. Retrieved November 10, 2017. ↑ @TwitterSupport (November 9, 2017). "Verification was meant to authenticate identity & voice but it is interpreted as an endorsement or an indicator of importance. We recognize that we have created this confusion and need to resolve it. We have paused all general verifications while we work and will report back soon" (Tweet) – via Twitter. ↑ @jack (November 9, 2017). "We should've communicated faster on this (yesterday): our agents have been following our verification policy correctly, but we realized some time ago the system is broken and needs to be reconsidered. And we failed by not doing anything about it. Working now to fix faster" (Tweet) – via Twitter. ↑ Wagner, Kurt (September 12, 2013). "Twitter Unveils Exclusive Feature For Verified Users" . Retrieved June 9, 2014. ↑ Spangler, Todd (March 9, 2018). "Twitter CEO Wants to Open Up Verified Accounts to Everyone". Variety. Retrieved March 9, 2018. ↑ "Twitter apps for phones, tablets and computers". Twitter. Archived from the original on April 2, 2017. Retrieved April 6, 2017. ↑ "Tweeting via text message". Twitter Help Center. Twitter. Retrieved April 6, 2017. ↑ Byford, Sam (April 6, 2017). "Twitter Lite is a faster, leaner mobile web version of Twitter". The Verge . Vox Media . Retrieved April 6, 2017. ↑ Russell, Jon (April 6, 2016). "Twitter launches a 'lite' mobile web app that's optimized for emerging markets". TechCrunch . AOL . Retrieved April 6, 2017. ↑ "Twitter officially unveils lite version for PH users". June 14, 2017. Retrieved June 16, 2017. ↑ Wauters, Robin (August 17, 2012). "Twitter API Changes Set Maximum User Cap for 3rd Parties". Thenextweb.com. Retrieved May 9, 2013. ↑ "Twitter Applications and OAuth". Twitter. August 30, 2010. Retrieved September 13, 2010. ↑ Mlot, Stephanie. "Twitter Adds 'Related Headlines' to Embedded Tweets". PC Magazine. Retrieved June 9, 2014. ↑ "Your Twitter Feed Is About to Be Flooded With Polls". Wired. October 21, 2015. Retrieved October 23, 2015. ↑ "Twitter and CBS News to partner for live stream of Republican and Democratic National Conventions". CBSNews.com. CBS News. Retrieved July 11, 2016. 1 2 3 "Twitter plans to broadcast live video 24 hours a day". The Verge. April 26, 2017. Retrieved May 12, 2017. ↑ Brodkin, Jon (April 5, 2016). "Twitter buys NFL streaming rights for 10 Thursday Night Football games". Ars Technica. Condé Nast. Retrieved April 5, 2016. ↑ "Twitter still thinks it's a TV platform — and here are its dozen new shows". Re/code. Vox Media. May 2, 2017. Retrieved May 12, 2017. 1 2 "Twitter Pushes Live-Video Deals With MLB, NFL, Viacom, BuzzFeed, Live Nation, WNBA and More". Variety. May 2017. Retrieved May 12, 2017. ↑ Spangler, Todd (August 29, 2017). "NFL Sets Kickoff of Twitter Live Show for 2017-18 Season". Variety. Retrieved August 30, 2017. ↑ "Twitter signed a new live video deal with the NFL that doesn't include games". The Verge. May 11, 2017. Retrieved May 12, 2017. ↑ "PGA Tour, Twitter Ink Live-Streaming Deal for Coverage of Thursday, Friday Rounds". Golf.com. January 5, 2017. Retrieved May 12, 2017. ↑ "Sinclair Partners to Revamp, Relaunch Sports Network". Broadcasting and Cable. Retrieved April 15, 2017. ↑ "American Sports Network, Campus Insiders, and 120 Sports Announce Mega-Merger Deal". Underdog Dynasty (SBNation). Vox Media. April 13, 2017. Retrieved April 15, 2017. ↑ "Is Twitter the new home for Southern Miss football?". Sun Herald. Retrieved May 12, 2017. ↑ "Twitter.com". Alexa Internet. March 23, 2018. Retrieved March 23, 2018. ↑ Hoffman, Stefanie (April 29, 2009). "Twitter Quitters Outnumber Those Who Stay, Report Finds". United Business Media. Archived from the original on January 11, 2012. Retrieved April 29, 2009. ↑ McGiboney, Michelle (March 18, 2009). "Twitter's Tweet Smell of Success". Nielsen. Retrieved April 5, 2009. ↑ "Global Social Networks Ranked by Number of Users". Statista. Retrieved June 18, 2017. ↑ Fiegerman, Seth. "Twitter is now losing users in the U.S." CNNMoney. Retrieved March 23, 2018. ↑ "Twitter Lite expands to 21 more countries, adds push notifications". TechCrunch. Retrieved August 16, 2018. ↑ "comScore Report: Twitter Usage Exploding in Brazil, Indonesia and Venezuela". Bill Hartzer. August 11, 2010. Retrieved May 22, 2011. ↑ "The Netherlands lead Global Markets in Twitter.com reach". Comscoredatamine.com. February 10, 2011. Archived from the original on April 15, 2011. Retrieved May 22, 2011. 1 2 Miller, Claire Cain (August 25, 2009). "Who's Driving Twitter's Popularity? Not Teens". The New York Times . Retrieved September 18, 2009. ↑ Lipsman, Andrew (September 2, 2009). "What Ashton vs. CNN Foretold About the Changing Demographics of Twitter". comScore . Archived from the original on September 7, 2009. Retrieved September 18, 2009. ↑ Cheng, Alex; Evans, Mark (June 2009). "Inside Twitter – An In-Depth Look Inside the Twitter World". Sysomos . Retrieved February 23, 2011. ↑ Bluff, Brian (May 2010). "Who Uses Twitter?". site-seeker.com. Archived from the original on May 31, 2010. Retrieved September 22, 2010. ↑ Chen, Adrian (May 17, 2011). "Why So Many Black People Are On Twitter". Gawker . Univision Communications . Retrieved May 5, 2017. ↑ Saint, Nick (April 30, 2010). "Why Is Twitter More Popular With Black People Than White People?". Business Insider . Axel Springer SE . Retrieved May 5, 2017. ↑ Taylor, Chris (September 8, 2011). "Twitter has 100 million active users". ↑ Yarrow, Jay, "There's Only One Place In The World Where Twitter Is Bigger Than Facebook", Business Insider , January 6, 2012. Retrieved January 11, 2012. 1 2 "Twitter Reports First Quarter 2014 Results" . Retrieved June 9, 2014. ↑ "Twitter, Inc Common Stock" . Retrieved June 9, 2014. ↑ Duggan, Maeve (December 30, 2013). "Social Media Update 2013" . Retrieved June 9, 2014. ↑ "Twitter reaches half a billion accounts – More than 140 millions in the U.S." Semiocast. Retrieved October 7, 2014. ↑ "Social Media Update 2016". Pew Research Center: Internet, Science & Tech. November 11, 2016. Retrieved March 23, 2018. 1 2 3 4 "2013 Annual Report" (PDF). ↑ "2014 Annual Report" (PDF). ↑ "2015 Annual Report" (PDF). ↑ "2016 Annual Report" (PDF). ↑ "2017 Annual Report" (PDF). 1 2 Staff writer (February 16, 2009). "Twitter Raises over $35M in Series C". MarketingVOX. Archived from the original on August 7, 2011. Retrieved February 23, 2011. ↑ Womack, Brian (November 12, 2008). "Twitter Shuns Venture-Capital Money as Startup Values Plunge". Bloomberg . Retrieved February 23, 2011. ↑ Miller, Claire Cain (October 16, 2008). "Twitter Sidelines One Founder and Promotes Another". Bits (blog of The New York Times ). Retrieved February 23, 2011. ↑ Snyder, Bill (March 31, 2008). "Twitter: Fanatical Users Help Build the Brand, But Not Revenue". The Industry Standard (via Infoworld). Archived from the original on March 16, 2010. Retrieved February 23, 2011. ↑ Miller, Claire Cain (June 19, 2009). "Twitter Plans To Offer Shopping Advice and Easy Purchasing". Bits (blog of The New York Times). Retrieved February 23, 2011. ↑ "Will Twitter Be Google's Next YouTube?". ECommerce Times. March 9, 2009. ↑ Stone, Brad (September 24, 2009). "Twitter's Latest Valuation: $1 Billion". New York Times Bits blog. 1 2 Ante, Spencer E.; Efrati, Amir; Das, Anupretta (February 10, 2011). "Twitter as Tech Bubble Barometer". The Wall Street Journal . Retrieved February 23, 2011. ↑ Carlson, Nicholas (March 4, 2011). "Twitter Valued At $7.8 Billion In Private Market Auction". Business Insider via San Francisco Chronicle. Hearst. Retrieved March 26, 2011. ↑ Delevett, Peter (August 1, 2011). "Twitter lands $800 million venture capital deal, breaking record". San Jose Mercury News. ↑ Scott, Mark (December 19, 2011). "Saudi Prince Invests $300 Million in Twitter". The New York Times. Retrieved December 19, 2011. ↑ Team, Trefis. "In Any Acquisition, Here's How Much We Think Twitter Is Worth". Forbes. Retrieved March 23, 2018. ↑ Staff writer (July 15, 2009). "Hacker Exposes Private Twitter Documents". Bits (blog of The New York Times ). Retrieved February 23, 2011. ↑ Stone, Biz (July 15, 2007). "Twitter, Even More Open Than We Wanted". Twitter Blog (blog of Twitter). Retrieved February 23, 2011. ↑ Arthur, Charles (April 13, 2010). "Twitter Unveils 'Promoted Tweets' Ad Plan – Twitter To Let Advertisers Pay for Tweets To Appear in Search Results". The Guardian . London. Retrieved February 23, 2011. ↑ Kimberley, Sara (April 13, 2010). "Twitter Debuts 'Promoted Tweets' Ad Platform". MediaWeek (U.K. edition). Retrieved February 5, 2011. ↑ Laurent, Olivier (May 11, 2011). "Photo agency's CEO addresses TwitPic controversy". British Journal of Photography . London. Archived from the original on August 3, 2011. Retrieved August 17, 2011. The deal will give WENN exclusive rights to sell images posted on the TwitPic service. ↑ Todd Wasserman (June 9, 2011). "Twitter Will Automate Ad-Buying by the End of the Year". Mashable.com. Retrieved November 14, 2011. 1 2 Zach Miners (April 30, 2013). "Twitter opens self-service ads to everyone". CMO. IDG Communications. Retrieved August 18, 2014. ↑ "Twitter Rolls Out Promoted Tweets for Mobile"; Wasserman, Todd. March 20, 2012. mashable.com. ↑ Mary Swant. "Twitter Is Helping Brands Drive Conversations With Instant Unlock Cards". Adweek. Retrieved August 4, 2016. 1 2 Vaughan-Nichols, Steven (August 30, 2012). "How Twitter tweets your tweets with open source". ZDNet . Retrieved September 10, 2012. ↑ Gomes, Lee (June 22, 2009). "The Pied Piper of Pay". Forbes . Retrieved June 16, 2009. ↑ ryan king (September 25, 2009). "Twitter on Ruby" . Retrieved October 31, 2009. We recently migrated Twitter from a custom Ruby 1.8.6 build to a Ruby Enterprise Edition release candidate, courtesy of Phusion. Our primary motivation was the integration of Brent's MBARI patches, which increase memory stability. 1 2 3 Krikorian, Raffi (August 13, 2013). "New Tweets per second record, and how!" . Retrieved August 21, 2013. ↑ Payne (January 16, 2008). "Announcing Starling". Twitter. Archived from the original on January 20, 2008. Retrieved January 11, 2009. ↑ Venners, Bill (April 3, 2009). "Twitter on Scala". Artima Developer. Retrieved June 17, 2009. ↑ Om Malik (August 17, 2013). "How Twitter scaled its infrastructure to handle record tweet-per-second days". GIGAOM. GIGAOM. Retrieved August 17, 2013. ↑ "Twitter API Wiki / FrontPage". Apiwiki.twitter.com. Retrieved September 18, 2010. ↑ Stone, Biz (April 30, 2009). "Twitter Search for Everyone!". Twitter. Retrieved May 7, 2008. ↑ "Twitter Arabic, Farsi, Hebrew and Urdu version launch". BBC News. March 7, 2012. Retrieved March 7, 2012. ↑ "Twitter Now Available in Basque, Czech, Greek". Pcmag.com. August 6, 2012. Retrieved August 7, 2012. ↑ (registration required) Walker, Rob (February 15, 2009). 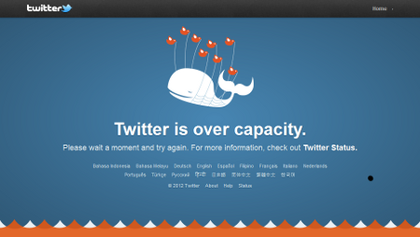 "Consumed – Fail Whale". The New York Times Magazine . p. 17. Retrieved February 15, 2009. ↑ Whyte, Murray (June 1, 2008). "Tweet, Tweet – There's Been an Earthquake". Toronto Star . Retrieved February 23, 2011. ↑ "Killing the Fail Whale With Twitter's Christopher Fry". Wired. November 25, 2013. Retrieved May 4, 2018. ↑ Staff writer (December 19, 2007). "Twitter Growing Pains Cause Lots of Downtime in 2007". Royal Pingdom (blog of Pingdom). Retrieved February 23, 2011. ↑ Dorsey, Jack (January 15, 2008). "MacWorld". Twitter Blog (blog of Twitter). Retrieved February 23, 2011. ↑ Kuramoto, Jake (January 15, 2008). "MacWorld Brings Twitter to its Knees". Oracle AppsLab. Retrieved May 7, 2008. 1 2 Rushe, Dominic (January 8, 2011). "Icelandic MP Fights US Demand for Her Twitter Account Details". The Guardian . London. Retrieved January 10, 2011. ↑ "How to Hide Your Followers & Who You Are Following on Twitter | The Classroom | Synonym". Classroom.synonym.com. November 9, 2015. Retrieved December 7, 2015. ↑ Hansell, Saul (July 16, 2009). "Advertisers Are Watching Your Every Tweet". The New York Times . Retrieved July 17, 2009. ↑ Gilbertson, Scott (June 11, 2007). "Twitter Vulnerability: Spoof Caller ID To Take Over Any Account". Wired. Retrieved February 5, 2011. ↑ Leyden, John (March 6, 2009). "Twitter SMS Spoofing Still Undead". The Register . Retrieved June 17, 2009. ↑ Stone, Biz (January 5, 2009). "Monday Morning Madness" . Retrieved June 17, 2009. ↑ Bellantoni, Christina; Stephen Dinan (January 5, 2009). "Obama's Twitter Site Hacked?". The Washington Times . Retrieved January 5, 2009. ↑ McCarthy, Caroline (June 12, 2009). "Twitter Power Players Get Shiny 'Verified' Badges". CNET . CBS Interactive . Retrieved February 23, 2011. ↑ Ostrow, Adam (May 10, 2010). "Twitter Bug Lets You Control Who Follows You". Mashable . Retrieved May 11, 2010.